Whilst the beauty world is caught up in the wonders of Korean beauty (there’s a lot of exciting innovation there) we decided to turn our heads back to the Japanese approach. In our Beauty Look Ahead report we discussed the concept of “wabi-sabi beauty” and how it can resonate with brands and consumers. Today, we’re looking at three concepts prolific in Japanese beauty that we are seeing inspire future global beauty. In keeping with the growing need for analog rituals, Japanese brands are looking at this slower paced routine through their own traditional approach. From the warming relaxation of the onsen (Japanese hot springs) to the calming inspiration of the Japanese tea ceremony. Brands such as Amayori and Bathclin look to bring the tranquil onsen experience to your home. A sensory journey that leads to a moment of calm and the steam is great for the skin. Suve Brushes offer a selection of carefully crafted facial and body brushes that apply delicately and silky smooth onto the skin. Taking inspiration from the elegance of the traditional Japanese tea ceremony. 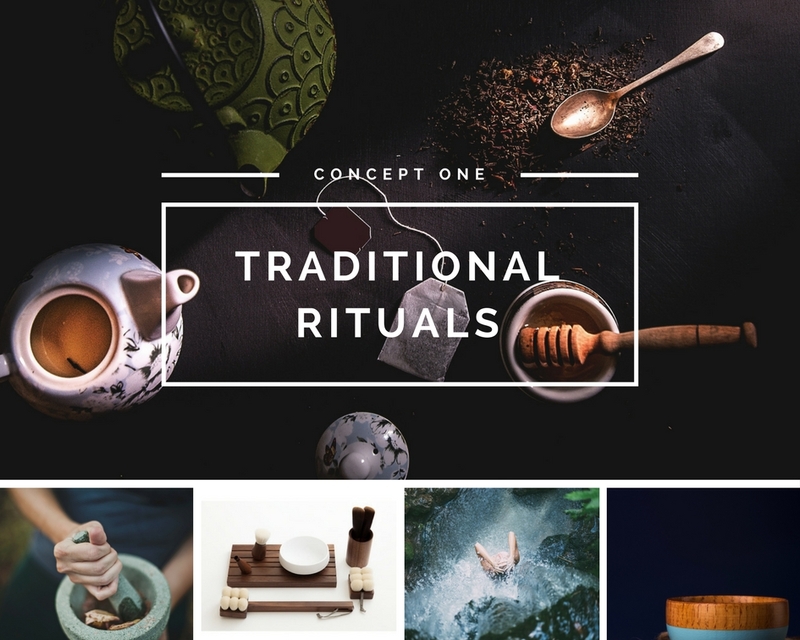 A focus on traditional rituals combine with forward-thinking innovation. A brilliant example is Makanai Cosmetics who focus on utilising the natural resources of Kanazawa. 3 Minute steam face cotton mask - soak with water and heat in the microwave to create a moment of spa like calm in the comfort of your own home. Vitamin E, collagen and squalane extracts are contained in the towel fibers to increase hydration in the skin. Paper soap that you can carry around. Almost like a post-it note pad. You take out a sheet with dry hands and when in contact with water it will lather. A brilliant waterless innovation. Japanese brands are continually inspired by food and botanical ingredients. From sake (fermented rice) skincare to milky textures and soy and tofu key ingredients. There are many plants native to Japan that hold effective skin benefits such as the antioxidant rich Gettou plant. Botanical ingredients feature heavily across Japanese brands such as Shiro (who recently launched two boutiques in London) and Ruhaku Cosmetics. The antibacterial properties of Hiba Wood oil are the star of the show in the Cul de Sac brand. Camellia oil is another favourite. In particular at Pretty Analytics, we’re turning our focus to innovative and naturally inspired Japanese haircare. They focus on scalp treatments like the Uka scalp brush, botanical hair waters like this one from Botanist and innovative fusions such as Makanai Cosmetics’ camellia oil infused comb. One of the biggest differences between Korean and Japanese beauty is that the latter focuses on fewer steps in a beauty routine ensuring the handful of products used contain effective ingredients. It’s a less is more approach and something we’ll be seeing more of in people’s beauty routines in the coming years. In particular, it’s not about following a line of perfectionism but rather what we’re calling wabi-sabi beauty (discussed in detail in the latest trend report). From the craftsmanship of their tools to the sleek designs of bottles and minimal design, there are a growing number of brands following this sophisticated aesthetic. It follows closely with the design in Japanese stationery brands such as Muji, Metaphys and Hobonichi which we've come to love.